Sam grew up on a farm and has had a love for animals all of her life. She has always had a passion for helping animals and has put that passion to work since joining our team in August 2009. Sam loves sharing her knowledge with clients and her co-workers. She also loves finding creative solutions to any problems. Her home is in Caldwell with her husband, 2 sons and pets. Abby, our recent high school graduate, started with us in June 2016. She has a love of farm animals as well as pets, and is currently attending WVU. Abby has an effervescent personality and everyone always enjoys working with her. 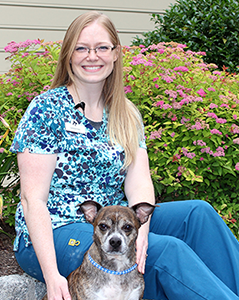 She has spent several years gathering knowledge from our staff and doctors, and will apply that knowledge in pursuit of a degree in Veterinary Medicine. Kathy joined our team in April 2005. 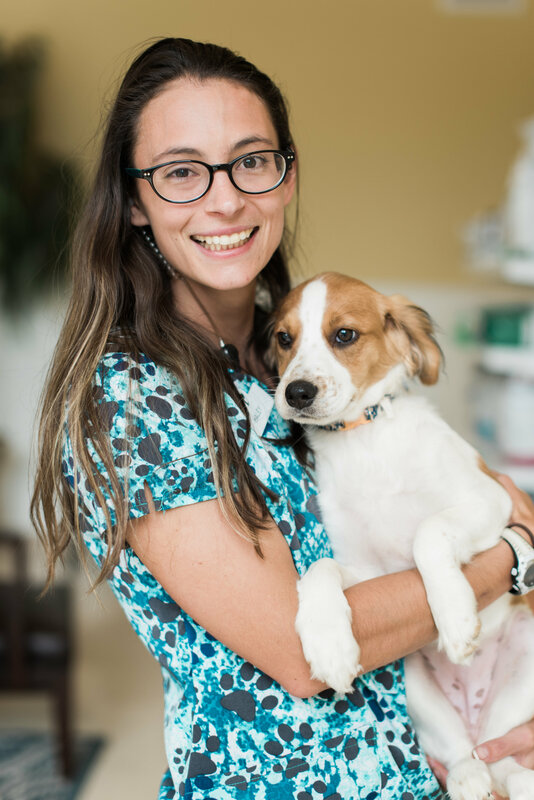 She originally started as a veterinary assistant, then later began grooming and pampering our client's furry family members. She is experienced enough to lend a helping hand whenever needed and knows the meaning of teamwork. 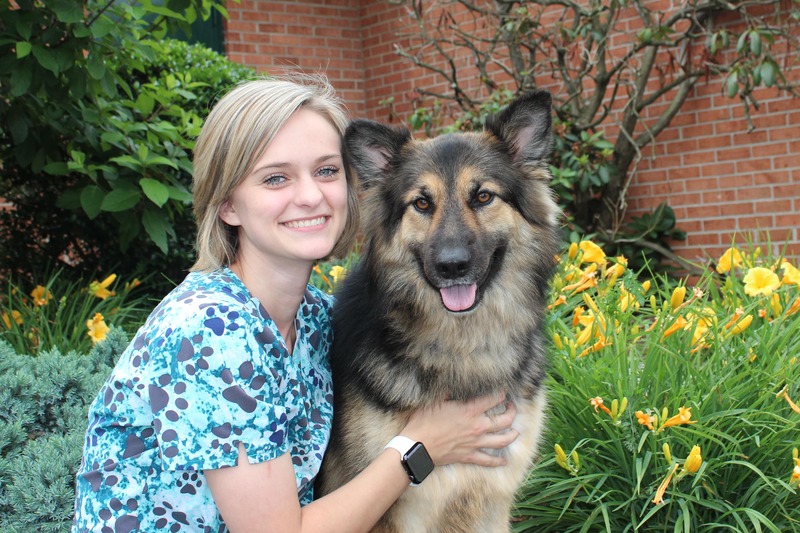 She is a valuable part of the Fairlea Animal Hospital team, and our hearts as well. Kathy lives in Pickaway with her husband, David and their four-legged best friend, Louie. Brianna joined our team in October 2016, when she moved back home after being stationed at Fort Riley, Kansas while her husband was in the military. They now live in Alderson with their 2 beautiful girls and 3 dogs. She is highly valued by the staff for her dedication and passionate love for veterinary medicine. 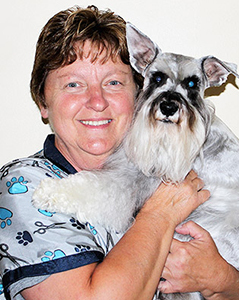 She excels at giving our clients an unforgettable experience and the best care possible to their pets. Not only is she a hard worker, but her positive personality and humor maker her a great team member to work with. 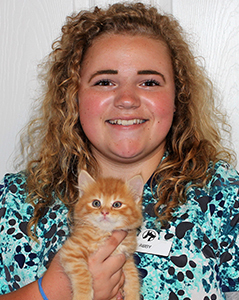 Sarah joined the staff of Fairlea Animal Hospital in 2014, while still attending high school. 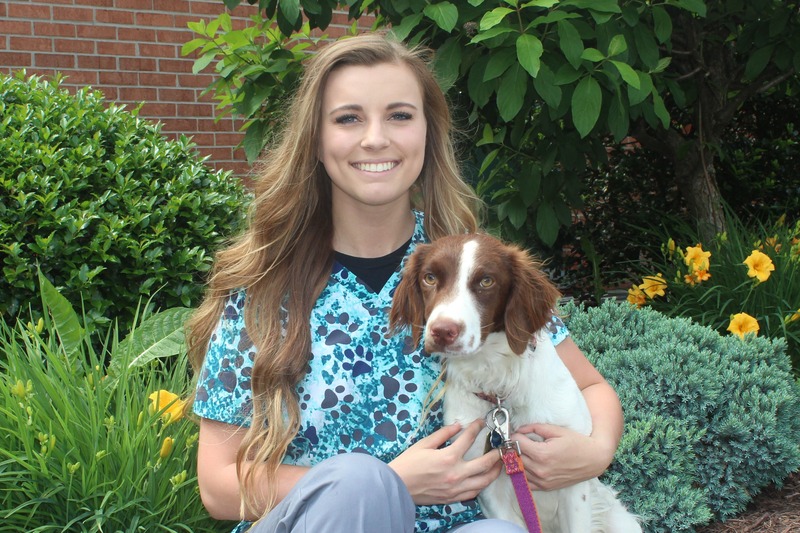 She now attends West Virginia Wesleyan College to further her education in veterinary medicine. Sarah does not hesitate to jump in and help where needed. She has a deep caring and compassion for our clients and their pets and will go above and beyond to make their visit memorable. Her fun loving personality and growing knowledge makes her accessible for any questions you may have concerning your pet’s care. She lives in Fairlea with her Brittany Spaniel, Remi. Haley became involved in veterinary medicine while serving with the military, and joined our team in February 2018. She has always had a deep love for all animals and she feels that they are more than simply pets, they are a part of our families. 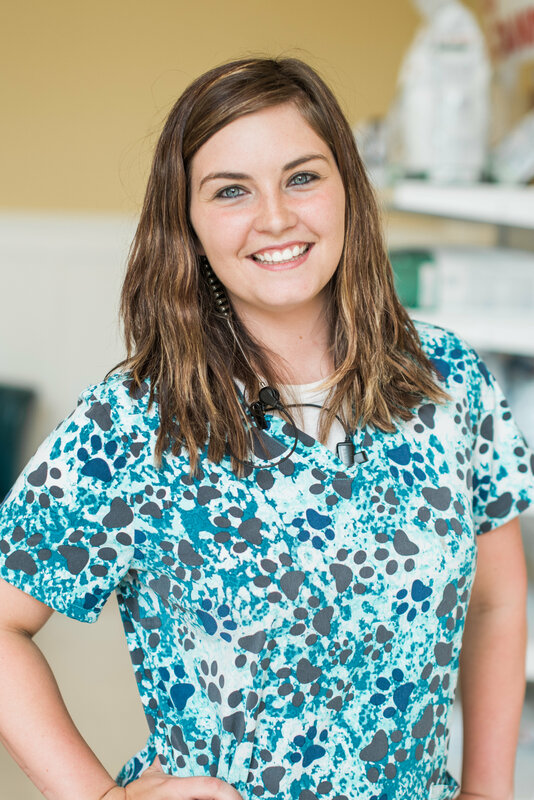 Haley believes that the greatest reward of her job is improving the quality of life for our patients so that they may have more time with their families. She lives in Ballard with her husband, Kyle and numerous pets. We all consider her to be a wonderful addition to our staff. Hunter joined our team in May 2017, but began learning about animals and their care at an early age from his mom, Peggy. He is one of the most soft spoken on our team. We have come to rely on the high quality of his work and his willingness to help out whenever called upon. 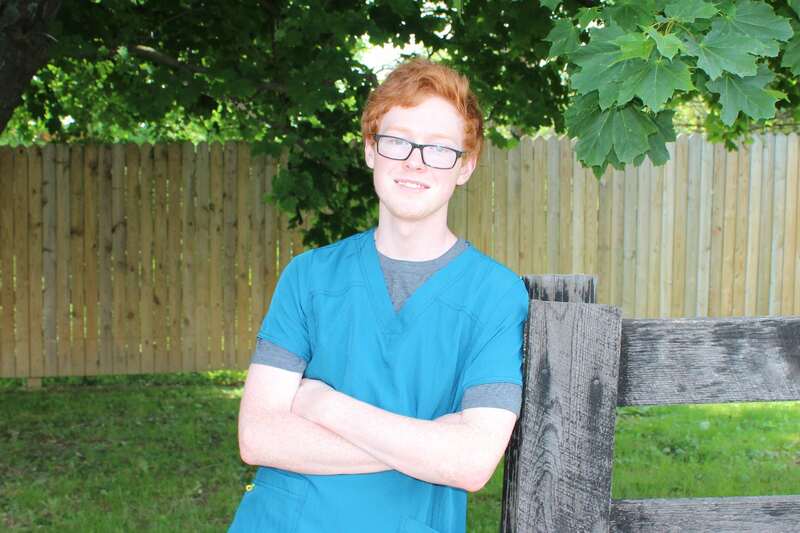 When not at Fairlea Animal Hospital, or at school, he lives in Alderson with his parents and several pets. Sarah joined our team in July 2017. She can often be found loving on our boarding pets and often greets them by name. She lives with her son Weston and 2 dogs in Potts Creek, Virginia. Sarah is currently in the process of obtaining a degree in Nursing. She loves to spend time playing with our boarders and is always eager to lend a helping hand in other areas of the hospital.